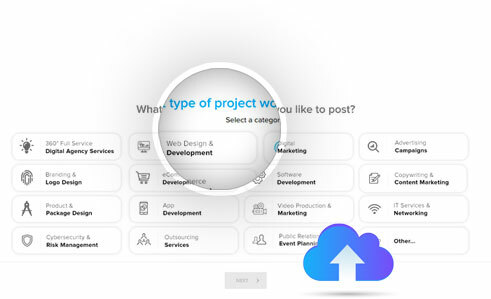 Posting your project on DesignRush streamlines the entire agency outreach, communication and selection process, saving you weeks of time and energy. This empowers you to focus on what's important: Running Your Business. Save precious time! There's no need to research and contact every agency one by one. Instead, just post your project once on DesignRush and ensure thousands of professional firms see it. You'll receive personalized proposals from professional local and global firms that meet your project requirements and budget restrictions. Your dashboard will house all submitted proposals and let you manage the entire selection process. 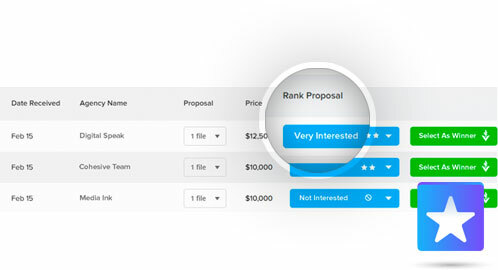 You’ll be able to view proposals, take notes, rank agencies, and more! Once you selected the best agency for your project, you can transact with them directly without any middleman fees or hidden costs. How much does it cost to post my project? 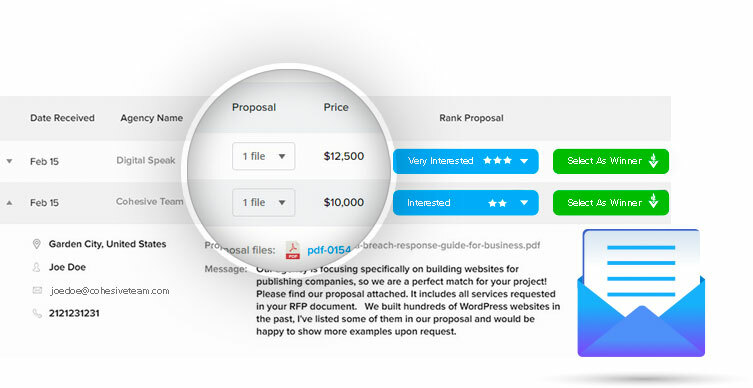 It costs only $25 to post one project proposal on DesignRush. There is no limit to the number of proposals you can receive. There are no other charges from DesignRush. We do not charge any commission to the client or the agencies. How will posting my project on DesignRush help my brand or project? When you post your project on DesignRush, you ensure that thousands of top-rated agencies from around the world can view your project and submit a customized proposal. You can then view submitted proposals, take notes, rank agencies and more from one dashboard. This streamlined process saves you massive amounts of time and energy that you can instead spend growing your company, which makes your brand more efficient overall. What types of projects can I post on DesignRush? You can post any B2B service-based project on DesignRush, including but not limited to full-service digital agency projects, web design, app development, branding, digital marketing, software development, technology projects, public relations, video services and beyond. How soon after posting my project can I expect to receive proposals? As soon you post your project for bid, agencies will be able to see it and if interested, submit a proposal. However, it will take most agencies a few days to create a custom proposal, so its safe to assume you’ll start receiving proposals within a week on average. Is there a limit to the number of proposals I can receive for one project? No, there is no limit to the number of agency proposals you can receive for one project. However, the limiting factor is going to be how much information you share and your budget. The more agencies understand about your project and the healthier your budget, the more proposals you can expect. How long should I keep my project "open"? We recommend keeping your project open for anywhere from 1 to 3 months. 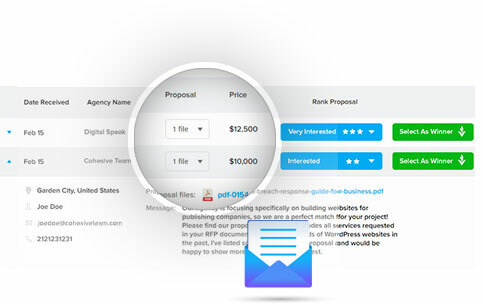 This will give agencies plenty of time to view your project details and write a customized proposal, and leave additional time for you to review proposals, rank agencies and select the winner. How long does it normally take to choose an agency? That depends on you. If you have a proposal from an agency you feel comfortable with, then you can make your choice sooner rather than later. You can always update your project to include more information if you believe agencies would provide better proposals with additional details. How will posting my project on DesignRush save me time? First, DesignRush has thousands of agencies all over the US and the world. We save you time so you don’t have to go researching agencies and vetting them. Second, DesignRush saves clients time by allowing them to post their project just once and receive proposals from interested agencies. In addition, clients can utilize their dashboard to communication and streamline the selection process. If I need help posting my project, or selecting an agency, can someone help me? Yes, our Agency Selection Experts can help you write your project description, identify goals, review proposals and select the best agency. Tell them about your project here and they will help you select the right agency for your brand at no extra cost to you. Can I edit my project details after it goes live and will agencies be notified if I edit my project details? Yes. You can edit your project details any time after your project is posted. All agencies who have or plan to submit a proposal will receive a notification that you have updated the project details. This allows them to edit their proposal as needed. In addition, if one agency asks a question about your project on the message board, all agencies will be able to view your response. Therefore, every agency will have access to the same exact information from your brand. How will the winning agency know if I selected them? When you select a winning agency, they will receive a notification that their proposal has been selected. They will be shown your direct contact information and can reach out. Of course, you will have the contact information of every agency that has submitted a proposal. Will agencies know who my brand is or know who posted the project? Agencies who are subscribed to provide proposals can view your company name in the project details page. However, no personal information (i.e. personal name or contact info) of the person posting the project will be shown to agencies. Only the winning agency, who you select, will have access to see your company name and representative contact information.